This beautiful lulav holder is a lovely way to carry and store your lulav. 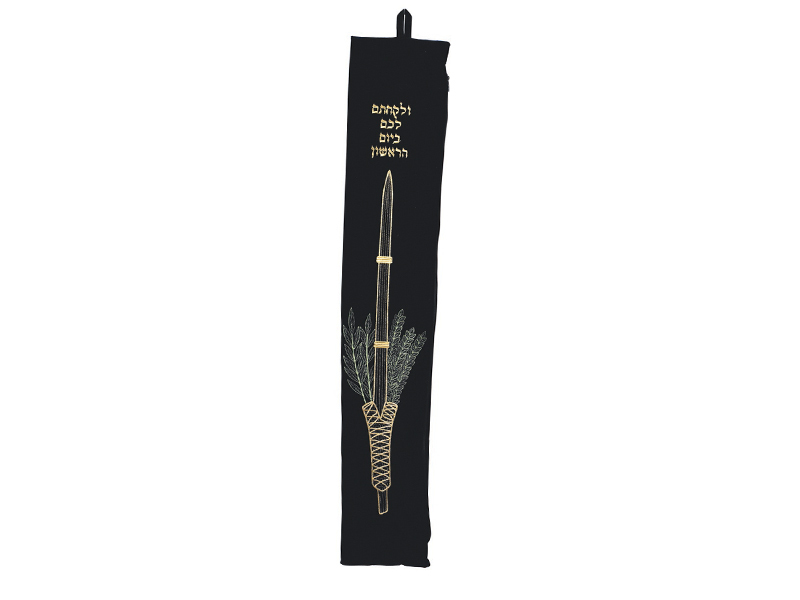 Fashioned out of a luxurious navy velvet, there is an artistic embroidered picture of a lulav with the verse from the Torah regarding the mitzvah of using a lulav and etrog on Succot. Lulav holder closes with a a side zipper and has a loop on top for hanging.